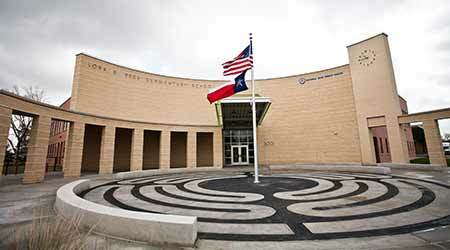 The Houston Independent School District’s efforts to reduce energy consumption last year did not go unnoticed by the U.S. Environmental Protection Agency (EPA). Nine district campuses received recognition from the EPA as part of the 2015 Energy Star National Building Competition Battle of the Buildings Team Challenge, which encourages organizations across the country to reduce energy and water use. Each of the nine district campuses reduced energy use by at least 20 percent from the previous year. One district school, the School at St. George Place, cut energy use by 37 percent and earned the top ranking for energy reduction in the K-12 school category. The energy reduction result placed the school 12th overall nationally. The program also recognized Farias, Laurenzo, and Mistral early childhood centers, Crespo and Helms elementary schools, Hartman and Patrick Henry middle schools, and the Gregory-Lincoln Education Center. The schools combined to reduce energy use by an average of 26 percent and prevented the emission of 2,904 metric tons of greenhouse gases — an amount equal to energy use from 265 homes. The district’s energy and sustainability department entered the schools in the competition after implementing energy-conservation measures, such as adjusting operating schedules, retrofitting and tuning up equipment, and optimizing HVAC units.